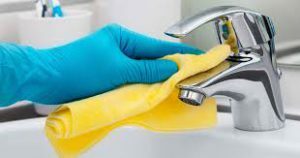 The absence of a specific law to regulate domestic work has left housemaids at the mercy of their bosses who often overwork, torture and sexually abuse them, civil society organizations have said. According to Ms Grace Mukwaya, the Executive Director of Platform for Labour Action (PLA), whereas the National Employment Policy recognizes domestic work, a home is not recognized as a workplace, which exposes house helps to abuse through non-payment, physical, verbal, emotional and sexual abuse by their employers. “To maintain their newly achieved positions, women in formal and informal sectors employ domestic workers majority of whom 93 percent fellow women to perform domestic chores. However, the hidden and invisible nature of domestic work coupled with the negative societal and cultural biases against domestic workers have relegated these female youths and women into conditions of violence and exploitation,” said Ms Mukwaya during a meeting in Ntinda, Kampala, yesterday. Ms Lydia Bwite, an advocate, said 93 per cent of domestic workers are women aged 15 to 30 years but majority of their employers are not aware of their worker’s rights. “Domestic workers promote household and national savings because families will reduce going to service providers but more important, they help families save quality time to balance work and family life,” said Ms Bwite. A government-appointed committee assigned to determine the viability of setting up a national minimum wage last year recommended Shs136,000 per month as the lowest pay to any worker, including house maids employed in the country. If approved by Cabinet and passed by Parliament, the policy will imply that the Shs136,000 will be the lowest amount that employers in Uganda can legally pay their workers per month regardless of whether the worker is a professional, skilled or unskilled.